Wingspan : M & F, 38-44mm. 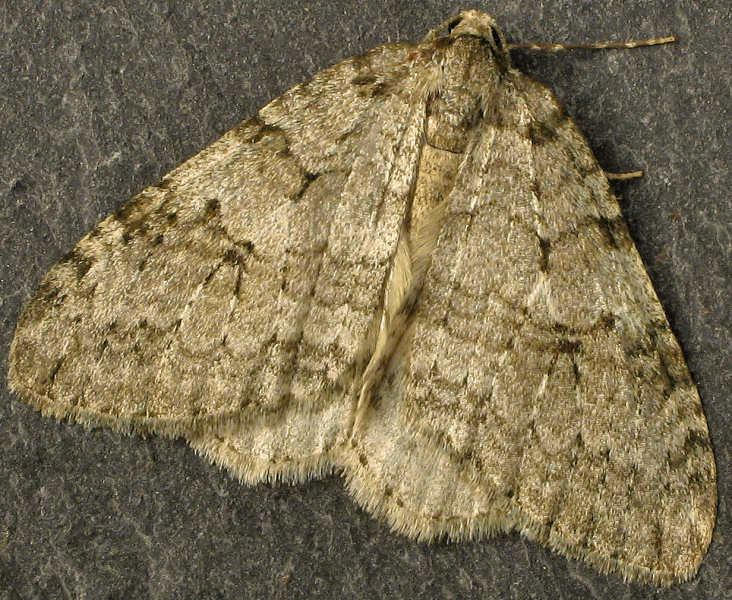 Pale November Moth, Autumnal Moth. Mostly broadleaf woodland, but also found in scrub and gardens. Overwinters as an egg on the bark or a twig of the foodplant. Larva late April-June. Pupates beneath the soil.